Saturn Industries is western Canada’s premier source for custom trailers, speciality lifting equipment and rigging supplies. The original 12,000 sq.ft. Winnipeg building was added onto three times for a total area of 32,244 .sq.ft. This trailer manufacturer required a spacious warehouse and office area to serve its many customers. Office spaces partially line the front of the building as can be seen from the exterior masonry façade which highlights the office area and front entrance. A large mezzanine, also located at the front of the building, adds much needed second floor space. 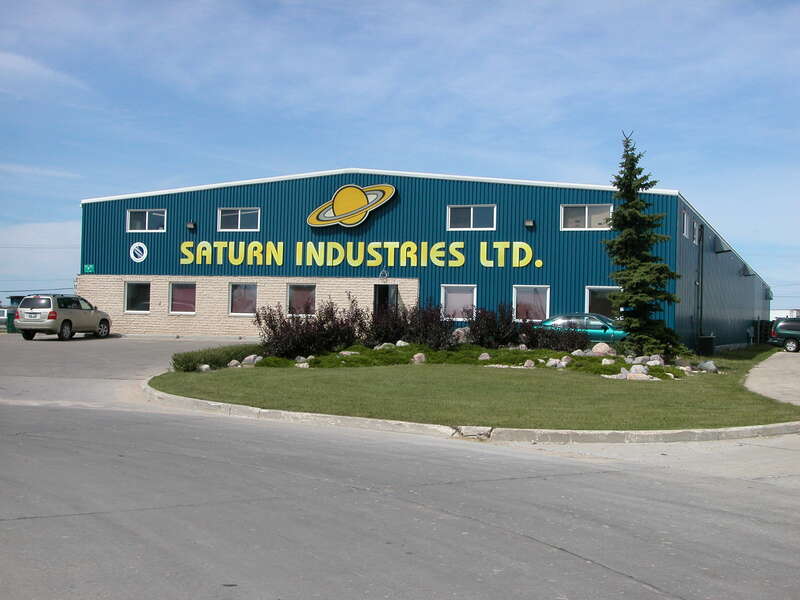 The brilliant blue siding is the perfect backdrop for the vivid yellow signage of Saturn Industries Ltd.